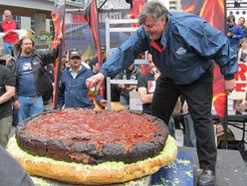 On May 7, 2010, Barbecue Chef Ted Reader completed the giant hamburger in Toronto. 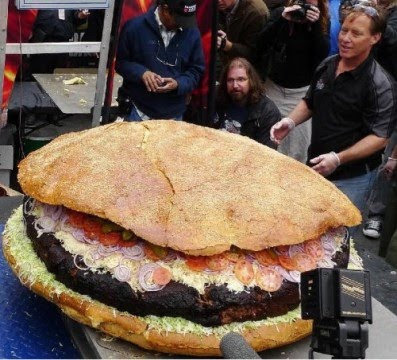 Canadian Barbecue chef made world’s largest burger and has broken the earlier Guinness World Record of 84 kilograms. Reader said, “They still have to wait for Guinness to give them the official nod that they’ve claimed the biggest burger crown." To flip the oversized culinary creation, a specially designed grill with a built-in forklift mechanism design is used by the award-winning chef. With $8,500 raised from the event benefiting Camp Bucko, a camp program for children with burn injuries, individuals and organizations were invited to place a bid on the burger. For world’s heaviest hamburger, the hamburger is waiting to be affirmed as a new Guinness World Record. 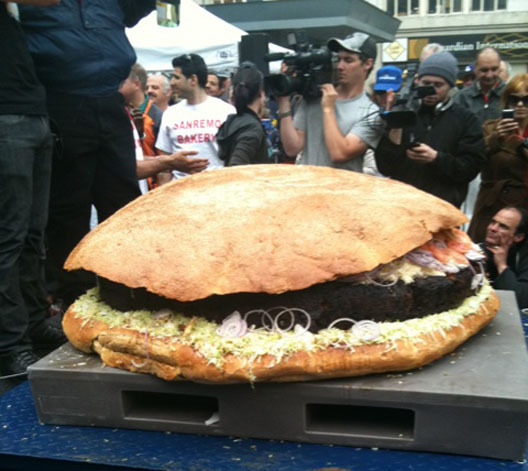 “It took six hours to cook the behemoth of a burger, starting off with a patty weighing 139 kilos. 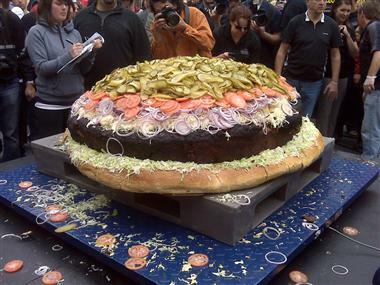 The grilled patty was then nestled in a 48-kilogram bun, dressed with lettuce, cheese, tomatoes, red onions, pickles and barbecue sauce,” said by Reader. He added, "I'm amazed that we got it out of the grill and onto the bun," Reader says. "That was the whole trickiness to it, but it's held together, it's edible, it's delicious." Mcdonalds online menu - How to order Mcdonalds food online?